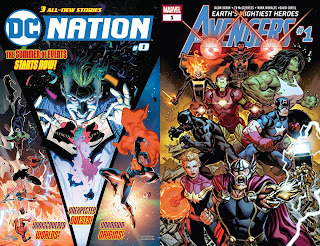 I picked up the two big releases out today from DC and Marvel, "DC Nation #0," and, "Avengers #1." Both horrifically underwhelming and besides one aspect of, "DC Nation #0," I liked, incredibly bland/mediocre/etc. It's unfortunate because I was hopeful I'd at least somewhat enjoy reading them, as I quite like a number of DC books these days and at Marvel am a fan of...um...the new, "Exiles," is fun and, "Runaways," is pretty good, I guess I can say? "DC Nation #0," has three different stories all covering quite different thematic territory. The initial one is about the Joker breaking-in to a random person's house in the hopes he gets an invitation to Batman's wedding sent there, somehow. It is actually pretty enjoyable to read as it is weird, twisted, and darkly funny. 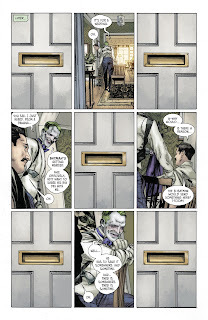 It still seems like a random way to cover how Batman and Catwoman are getting married in the Tom King-written series (he writes this too), however, as someone just randomly picking this comic up who hasn't been following that comic--like me!--would maybe just be befuddled and want more info on the wedding. Still, at least the Joker bit was good. The next segment features Clark Kent as Superman and focuses on the Daily Planet, and that's about it. Things are mentioned about Clark and Lois having an issue, some new lady is introduced who seems a bit evil, and the whole piece otherwise just kind of meanders around. If this is what a Brian Michael Bendis-written Superman reads like that makes me a bit worried. The last part is a mish-mash of a ton of characters and some new cosmic threat introduced at the last second that wasn't terrible, but failed to really grasp me either--it just felt like a series of splash pages and set-up for a new, "Justice League," comic...which is what it is, but yeah. "Avengers #1," continues the competent-yet-boring vibe with the usually stellar Jason Aaron as writer and artist Ed McGuinness both seeming to be putting forth a bare minimum of effort. 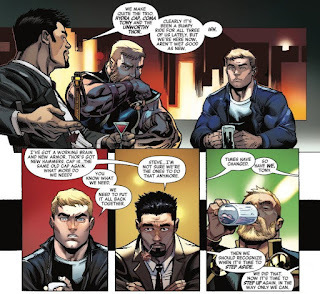 There is an opening set long ago in the past with the Avenger's of a million years ago which Aaron has written about previously, then we jump to the present where Tony Stark, Steve Rogers, and Thor all address the fact that their respective lives have been pretty weird lately. I guess by acknowledging that Iron Man was in a coma due to, "Civil War II," Captain America become a Hyrda-agent in the atrocious, "Secret Empire," and Thor lost his hammer in the meh, "Original Sin," they can now just forget those things occurred with a, "See? We talked about it once! "-styled hand-wave. After the three heroes chatting we jump around a bunch to show-off a random variety of heroes worried about a mysterious looming threat and then at the climax see what looks like a lot of trouble from the space-bound Celestials coming our way (yes, both comics involve threats from space, its a funny coincidence). It reads like a boring first-draft of an Avenger's comic and McGuinness seems like he barely cared and just tried to draw the damn book as fast as possible. It just feels like a slog to read-through, which is sad as these are some talented creators giving us such forgettable comics. "DC Nation #0," and, "Avengers #1," are not bad comics. They just aren't especially good ones outside of a brief solid segment with the Joker. I guess in defense of, "DC Nation #0," it did just cost a quarter, so I got my money's worth out the Joker alone, but judging it with the cost aside, it ain't that stellar. 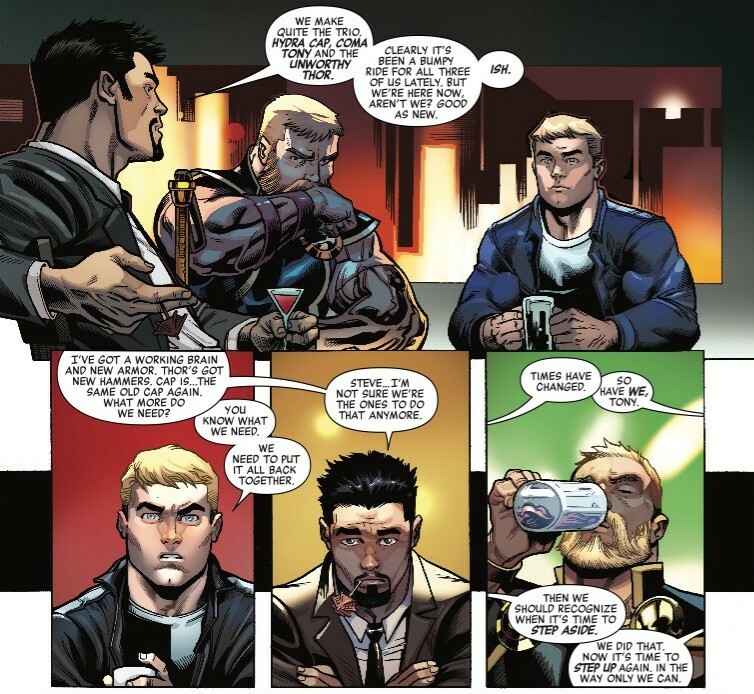 "Avengers #1," is so meandering it hurts, and I just expect better from the creators behind it. These books are the epitome of 2 out of 5 stars, just below-average, but not terrible. As my title said, they are exercises in mediocrity. It's a bummer these comics supposed to be big launch-pads for huge-deal titles and events are so weak, but that's what happens sometimes, I guess--you go big but end up just going home, so to speak (with, "Going home," in this case being making something passable-yet-lacking).